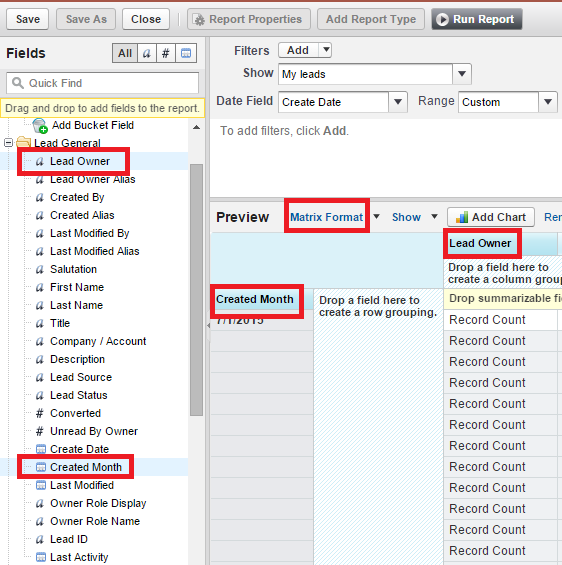 Infallible Techie: How to create Monthly Lead Report in Salesforce? 2. Click "New Report..." button. 3. 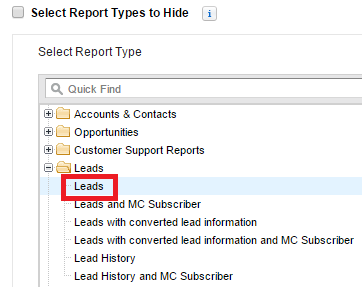 Select Lead report type and click "Create" button. 4. Make the report format at Matrix. 5. 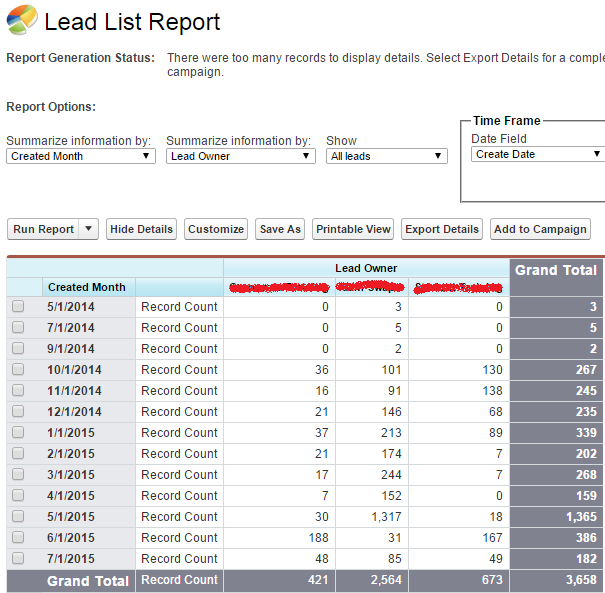 In Row wise grouping, select Created Month and in column wise grouping, select Lead Owner. 6. Run the report to view the result.